After a hard year of work, one of the things we wanted to do this summer was relax a bit. 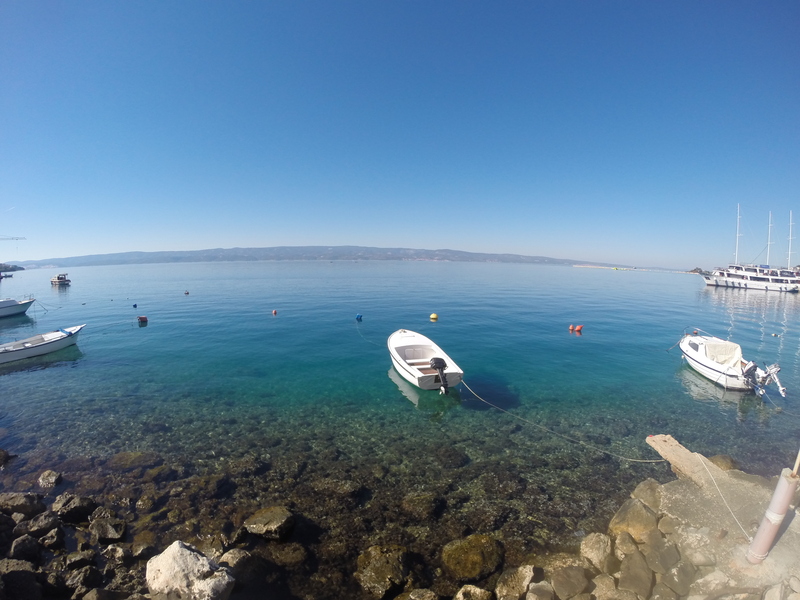 Adventure holidays are fine, and we would have plenty of that in the coming days, but first a few days to unwind on the beach would be more than welcome, and Omiš was the perfect place for that. Omiš lies at the mouth of the Cetina river, and its unique location, hidden from the open sea by the island of Brac and with the deep canyon of the river behind, made it a perfect hiding place for pirate. Most people who visit Croatia go to Dubrovnik or the many islands that the country has, so the stunning pebble beaches in Omiš are rather quiet, with mostly Croatian holidaymakers and a few Hungarians, Austrians and Poles. You can enjoy an excellent fish or seafood dinner in the center at a very reasonable price and accommodation is also cheap. 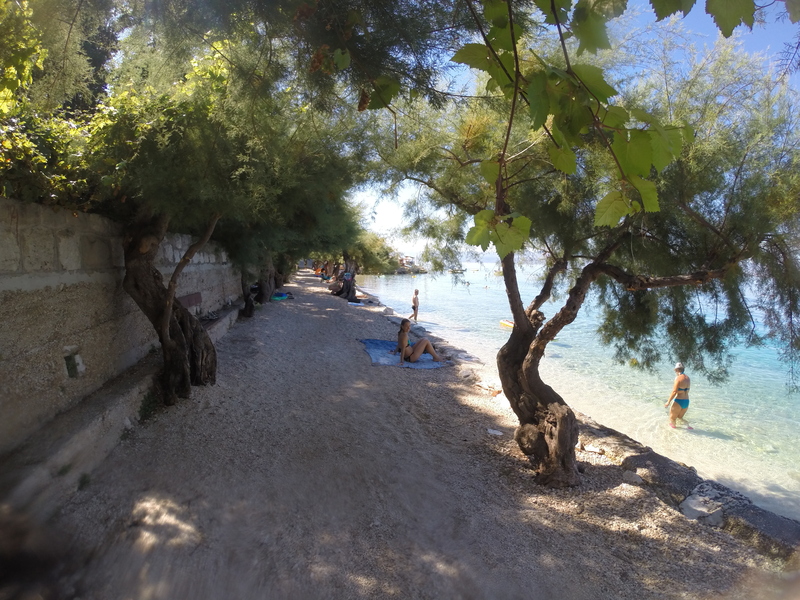 We got an apartment across the road from the beach and then found a small secluded beach on the other side of the river mouth, just outside the city, with crystal clear water and shade from the trees right on the shore. Because there was barely any sand there, the place was also mostly blessedly kid-free, so it was really quiet. Perfect for a bit of swimming, reading and relaxing. With our beach half an hour on foot from the apartment and the city center even closer than that, the bike spent all our time here safely chained under a tree in the garden, all the best taking into account how bad traffic is. 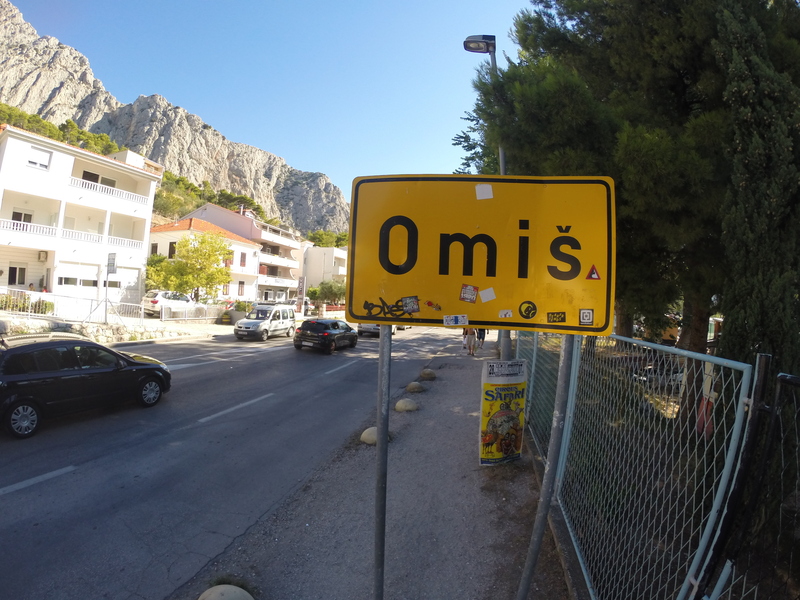 If you decide to visit Omiš, come here by bike or of you do it by car, get an apartment that is within walking distance from the beaches and the center, or you’ll go crazy. The coast road cuts through the center, and there is only one narrow bridge to cross the Cetina river with jwo junctions on either side of it leading to two roads going into the canyon along the river, and with high hills right behind the town, there is no room to build a bypass. This means that traffic crawls so slowly through the city that it is actually faster to cross it on foot. On the last night we had dinner with some good friends who live in London and who were also on holiday in Croatia, Josep and Mona. 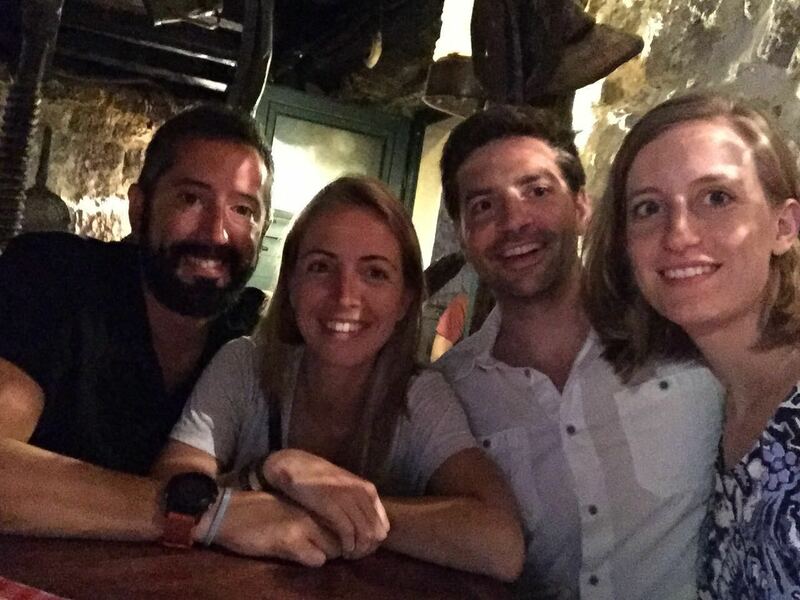 He had seen on the blog that we were around here, and they were on their way to Split to take a plane back home on Saturday, so they made their last stop in Omiš and we shared a great evening together. This entry was posted in Balkan Adventure 2016, Travel and tagged Honda CRF 1000L, Omis by Kilian. Bookmark the permalink.